D’Ambra and Palaia’s restored Greek Parthenon. One of only two Parthenons in in the United States (the other is in Nashville and was built for the World’s Fair) the building required extensive, careful renovation and is now used as Palaia’s studio. Perhaps it was her eye for the ancient that made Eve D'Ambra notice the peculiar and neglected rectangular building perched on a knoll overlooking the Hudson. D'Ambra, an art history professor at Vassar who specializes in the art and sculpture of classical Rome, regularly drove from her home in Poughkeepsie to go horseback riding at the Southlands Foundation in Rhinebeck. While waiting to take a left over Route 9, she would gaze up at the corner of the mysterious building. Most of the year the structure was overgrown with woods, but when the trees were bare she could make out the crumbling triangular frieze and Doric columns of classical Greek architecture. Franc Palaia and Eve D’Ambra in front of their 19th-century stained-glass window, depicting a fete galante—a French courtship party. A second layer of windows protects the glass from outside and Palaia added another layer of Plexiglass behind that. “You could throw a brick at it and it wouldn’t break,” he says. Over the years D'Ambra mentioned the building to her husband, the artist Franc Palaia, who was also intrigued. Palaia does "a little bit of everything," from large-scale trompe l'oeil murals to small sculptured lamps. He likes to utilize "found objects" in his work and often combines mediums to create a curious juxtaposition of the ancient and modern. (Palaia's photograph Palms, People's Park, San Francisco appeared on the cover of the June 2002 issue of this magazine.) Neither D'Ambra nor Palaia had the chance to indulge their curiosity about the building until a little over three years ago. Palaia and D'Ambra were in the car driving to Rhinebeck together, when he suggested they turn right at the juncture instead of left. Driving up the hill, they found an 18th-century Greek Revival with a "For Sale" sign on the lawn. 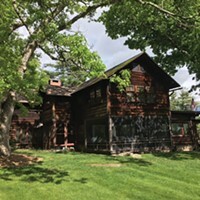 It was surrounded by eight acres of pond and fields, as well as a barn-turned-garage and the distinctive outbuilding D'Ambra had been noticing for years from Route 9. Built next to an in-ground pool, the structure was called a "cabana" in the real estate listing. However, Palaia and D'Ambra knew what they were looking at: a replica of the Parthenon, well-known to local residents and previous owners. The reconstructed, classical Greek temple was complete, with 60 carved columns and intricate sculpture work over the entablature in the front and back. Throughout the rest of the grounds were faint traces hinting at the property's grand, worldly heyday. The couple had found a treasure trove of architecture. If anyone in the Hudson Valley was going to uncover a home referencing art and antiquity, it would be D'Ambra and Palaia. They met 30 years ago when both were awarded the prestigious "Rome Prize" fellowship and were spending a year living at the American Academy in Rome. Palaia was awarded the prize to study painting and was making "fake" frescos, painting large pieces of styrofoam to mimic watercolor on ancient concrete. D'Ambra was studying real frescos—specifically the ancient funerary paintings and sculpture created to commemorate the lives of ancient Rome's ordinary citizens. The 2,300-square-foot house spans three centuries and includes four bedrooms and three and a half baths. The eight-acre property includes a large garage, a pond, a swimming pool, and the Parthenon-studio. The home is completely powered with solar panels located on the roof of the garage. Together, they walked the streets of Rome, occasionally passing the Capitoline Museum in the center of the city. On one side of the historical museum complex was a room where civil wedding ceremonies were performed. "We would see brides and grooms coming out and everybody throwing rice and confetti," Palaia remembers. When Palaia and D'Ambra decided to tie the knot they couldn't decide between her home on Long Island or his in New Jersey. Both are of Italian descent and speak the language—their roots in the country were personal as well as professional. So they settled on a simple ceremony held in the wedding hall of the Capitoline Museum. They completed the necessary paperwork ("You know, the Italians love to stamp things," Palaia says) and were married by Rome's surrogate mayor in the room designed by Michelangelo. Afterward, they signed their names in the large record book where generations of other couples had already left their mark. Then it was their turn to be doused with rice and confetti by tourists. 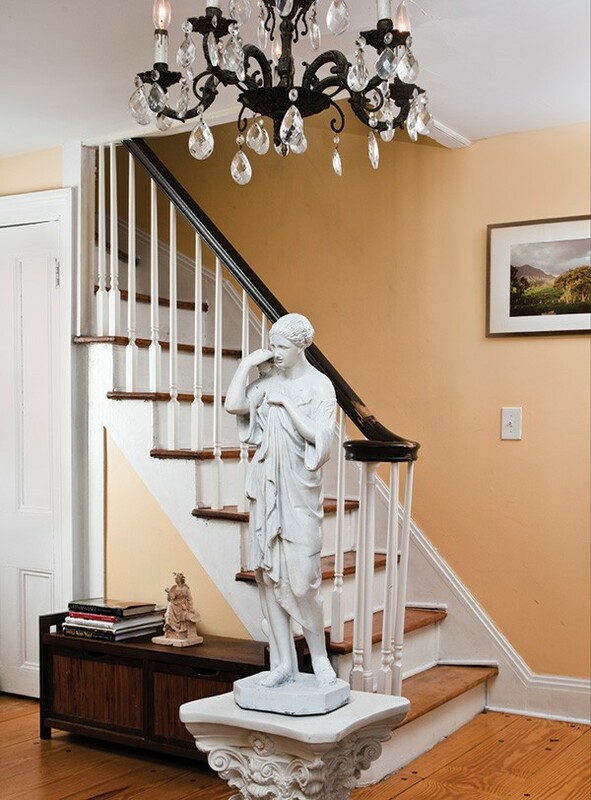 The home’s foyer dates from the 19th century and has low ceilings. “The chandeliers came with the house,” Palaia explains. 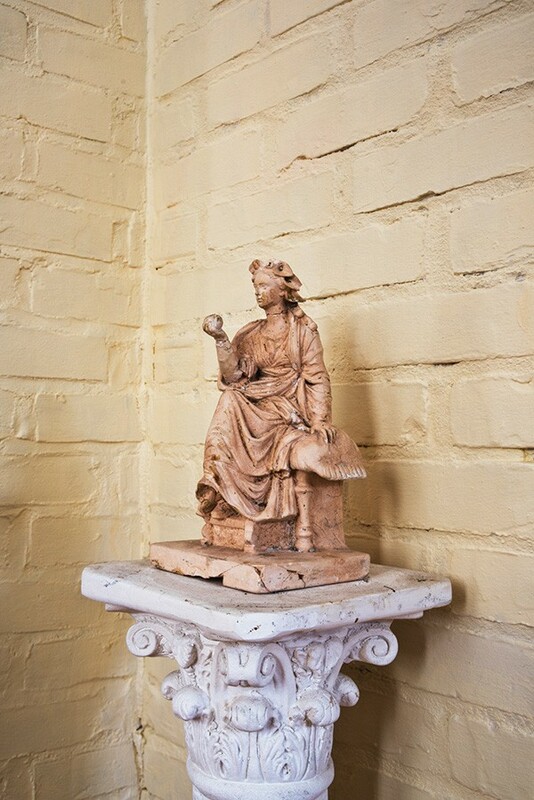 An antique statue depicting a Roman woman was collected by D’Ambra. Placed under the chandelier, it keeps guests from hitting their heads. When Palaia and D'Ambra found the eccentric homestead, they weren't necessarily looking to buy. They had lived in Poughkeepsie since 1990 and loved the art and community there, but found they were outgrowing their house. They realized they were uniquely qualified to appreciate and refurbish the property they'd found. "We bought it as a fluke," Palaia says. However, over the past three years the couple have taken the renovation of the house and its surrounding outbuildings very seriously. The original house spans three centuries. 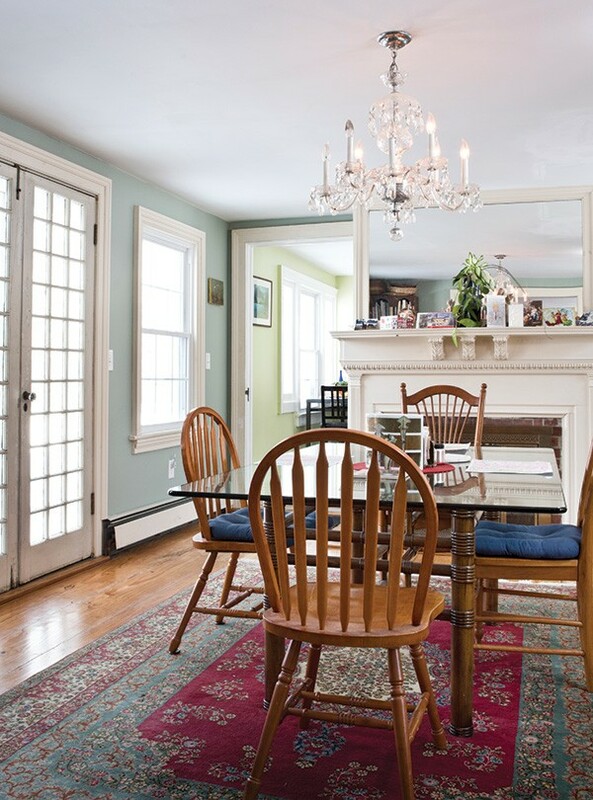 The oldest part—the living room area—dates back to 1785. A portion of the home is built on a stone foundation, most is built directly on the ground in the dirt. The original portions of the home included 4 rooms. Which are now the downstairs foyer, the living room, one of the upstairs bedrooms and what is now the bathroom, and staircase landing and hallway. In the 1920s, John Gardner, a New York City attorney, bought the house to use as a weekend home. The Gardner family added a modern kitchen and began transforming the home to include relics and mementos from their travels. Gardner especially loved European culture and either brought pieces of it back or tried to re-create historic monuments on the property. Gardner also brought a functioning windmill from the Netherlands and installed it in the backyard. It was the only authentic Dutch windmill in the United States for a time. ("We have a couple of pieces of wood on the property that we think were a part of it," Palaia tells me.) Inspired by his travels through Italy, Gardner constructed a wide stairway at the front entrance of the home, leading down to a large fountain reminiscent of an Italian piazza. He also constructed an Italian pergola off the living room. Both are gone but, like the windmill, their outlines remain visible. The home’s dining room dates from the 19th century and offers views of the river and Catskills. Every room on the ground floor has a fireplace. In the 1950s the home was named "Meadowsweep" by another owner. 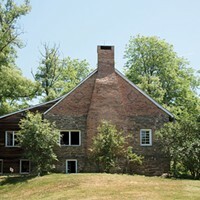 Since then, its history has been included in the book Rhinebeck Historical Architecture. 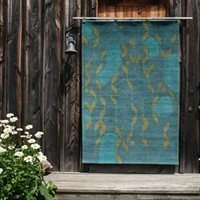 The house has recently been featured on a tour of Rhinebeck's historical houses. The Parthenon's refurbishment required an especially careful touch. The original floor was torn out completely by the interim owner after the Knapp family left. They (the interim owners) also removed all remaining custom built book cases leaving nothing but a shell of the interior building. "It had been neglected for decades," Palaia says. "The windows were covered in mud and the roof leaked." Bringing the building up to something representing the glory that was ancient Greece, or even a working space in Rhinebeck, was a Herculean task. The work was done by experienced local contractor Tony Rocco of A&A Contracting. All 60 of the carved wooden columns had to be removed and then carefully put back into place. Palaia painted the columns one evening, only to return the next morning and find the dried wood had sucked up the coat of paint. He has since added two more layers ("and it could use another," he tells me). The hydrocal plaster walls were fully refurbished and a checkerboard of blue "Triglyphs"—three marks in Greek—have been repainted along the boarder of the entablature. The old roof, was replaced with terracotta-colored aluminum. Palaia has been refurbishing the triangular fresco sculptures on the front and back of the structure. Inside, Palaia added insulation and electrical and heating systems. Once used as Gardner's library and office, the Parthenon is now Palaia's studio. His photographs of ancient ruins, taken with a Polaroid camera and then hand painted, hang across from a large north-facing window. Underneath, the walls are a shaded and variegated patina. "It looks like my fresco paintings," Palaia says. 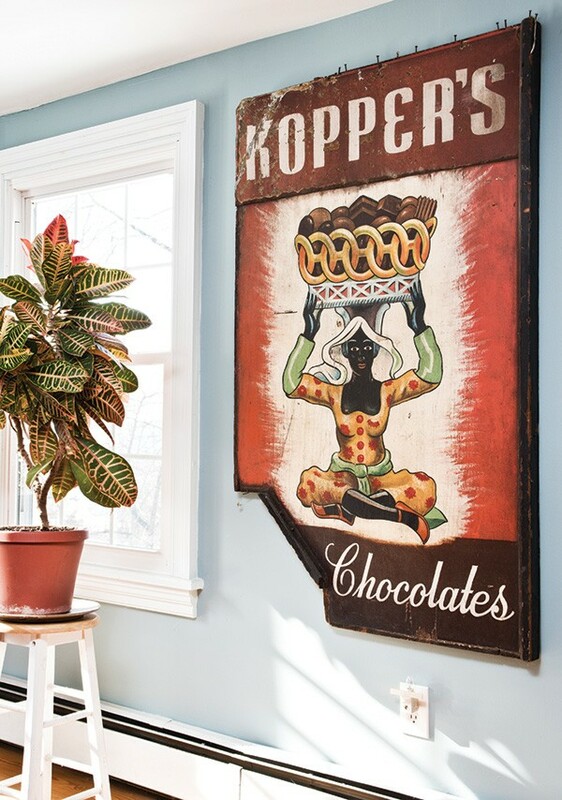 An antique wooden sign in the Palaia/D'Ambra home. The portraits and sculpture on their tombs were often the only record of their lives.